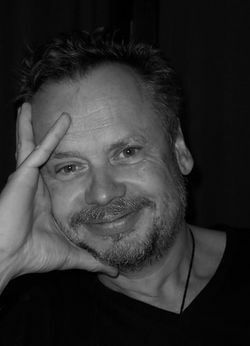 Piotr Piotrowski (1952, Poznań - 2015, Poznań) was a Polish art historian and curator. He received his MA and PhD from Adam Mickiewicz University and worked there as Professor ordinarius in the Art History Department of Adam Mickiewicz University, Poznan, Poland, which he chaired from 1999 to 2008. Research Fellow of the Graduate School for East and South-East European Studies, Ludwig-Maximillians-Universität, München/ Regensburg Universität. He also was the co-editor of the annual journal Artium Quaestiones (1994-2009), director of the National Museum in Warsaw (2009-2010), and Senior Curator of Contemporary Art at the National Museum in Poznan (1992-1997). Visiting Professor at Humboldt University (2011-2012), Warsaw University (2011, 2012-2013), the Center for Curatorial Studies, Bard College USA (2001), and Hebrew University in Jerusalem (2003). He was a fellow at—among others—the Center for Advanced Studies in the Visual Arts, Washington D.C. (1989-1990), Columbia University (1994), the Institute for Advanced Study, Princeton, N.J. (2000), Collegium Budapest (2005-2006), and the Clark Art Institute, Williamstown, MA (2009). For his scholarly achievements Piotrowski received among others the Jan Dlugosz Award (Krakow 2006), and the Igor Zabel Award for Culture and Theory (Barcelona 2010). Piotr Piotrowski Center for Research on East-Central European Art, Faculty of Historical Studies, Adam Mickiewicz University, Poznań, Poland, est. 2018. This page was last modified on 19 March 2019, at 10:56. This page has been accessed 7,419 times.